Buy your friends this Wedding Day Candle and allow their love to shine. 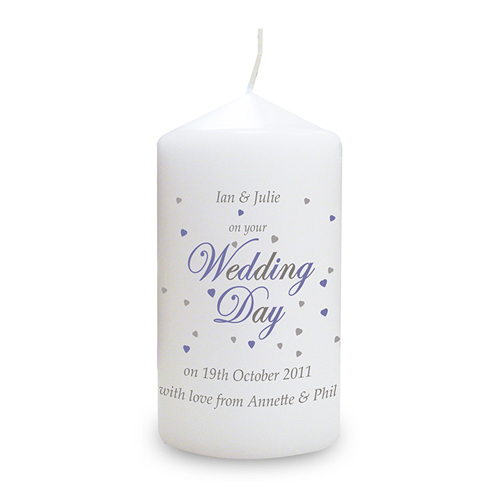 Make your wedding gift a unique one with this personalised Wedding Day candle! The candle can be personalised with the couples name at the top, wedding date, venue and a short message at the bottom, 20 characters per line. 'On Your Wedding Day' will be fixed text on this item.